CSUK Membership – sign up today! 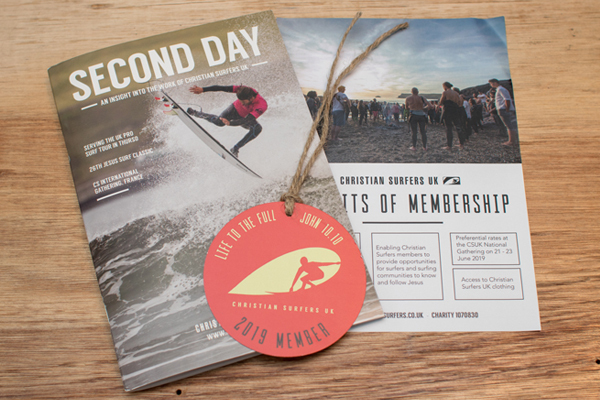 Christian Surfers UK would love you to become a fully paid up member (or even renew your membership!). We would encourage you to be more than an observer through a Facebook group or even if you’re connected to a CS group, go that extra step and support the mission through becoming a member. There are a number of benefits to you, and CSUK also benefits as a charity. Firstly, we will put you in touch with your nearest local CSUK group or contact so that you can join with like-minded people in your local surf community to fulfil our vision of ‘every surfer and every surfing community having opportunity to know and follow Jesus.’ You also receive two copies a year of Second Day, our in-house magazine, which is packed full of news and inspiring stories of all that CSUK is involved in. You will be emailed our monthly prayer diary too, to keep you up to date and able to pray for the ministry throughout the year. And finally, you get access to the great merchandise we have to offer, some of which, like the CSUK branded clothing, is only available to members. You may not have realised that there is also the option to include membership of Surfing England with your CSUK membership, at a reduced price. Adding Surfing England membership, with a discount of £5 on the usual full personal membership fee of £20, not only gives you the option to enter competitions around the country, but also includes personal accident and third party liability insurance. Check out www.surfingengland.org/surfer-membership for full details of the benefits of Surfing England membership. You can chose to add this option when you fill in the CSUK membership form. The benefits to CSUK are many too. Not only does your investment enable us to better serve our surf communities, it is also an encouragement for all of the volunteers and groups. An increase in membership numbers is a sign of CSUK’s effectiveness, a sign of active participation and helps CSUK as a charity access grants and extra funding. Membership could just be the start. There are also other exciting ways to partner with CSUK with our Partner Packages. 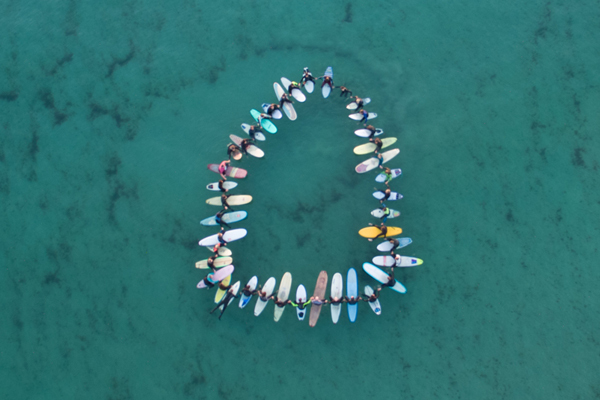 Committing to supporting CSUK financially on a monthly basis provides us with a stable platform from which we can continue to operate and have a powerful ministry to our surfing communities. Details of the Partner Packages can be found elsewhere in the magazine. adventure of serving and supporting the surfing community that we love, and making the most of the opportunities available to us.